Client: The bookcase is part of a furnishing for a refurbished apartment of a writer David Zábranský, an owner of 42 metres of books. He currently lives in the apartment, but may not in the future, therefore the requirement for variability, to adapt to a current dweller. 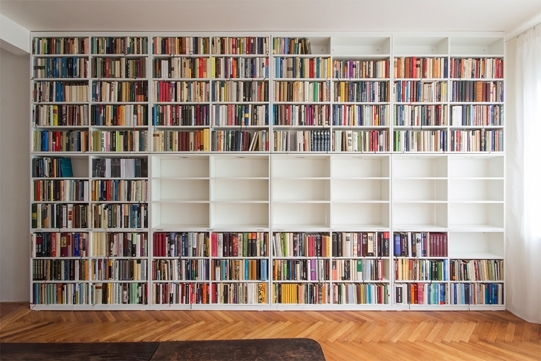 The whole wall naturally comes to life once inhabited by books of a book lover. 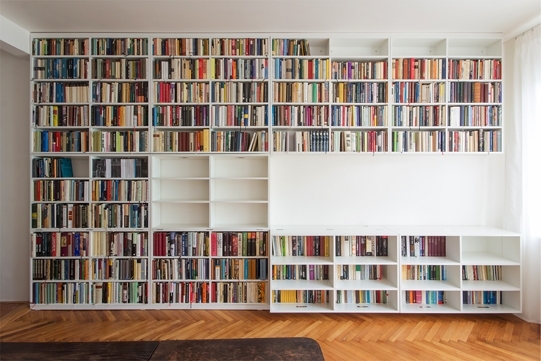 Concept: „Or we could push to the bookcase some other part that would otherwise stay aside.“ The writer said, which brought me to the idea of using a combination of fixed connection and rotation. 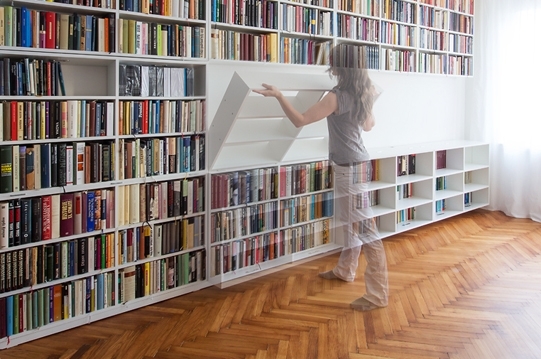 Articulation: The bookcase is divided horizontally into 3 and vertically into 4 strips, altogether into 12 parts. The upper and lower strips are fixed to the wall, the middle one can be rotated downwards, which allows placing larger items like TV into the middle strip as well as having the lower strip deeper. 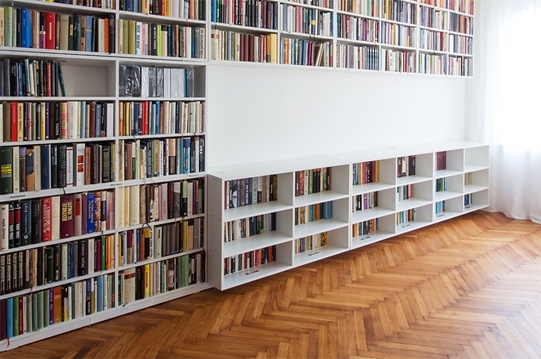 The upper strip has also vertically flexible shelfs. Material: White laminate (considering the existing standard of the apartment and financial efectivity).